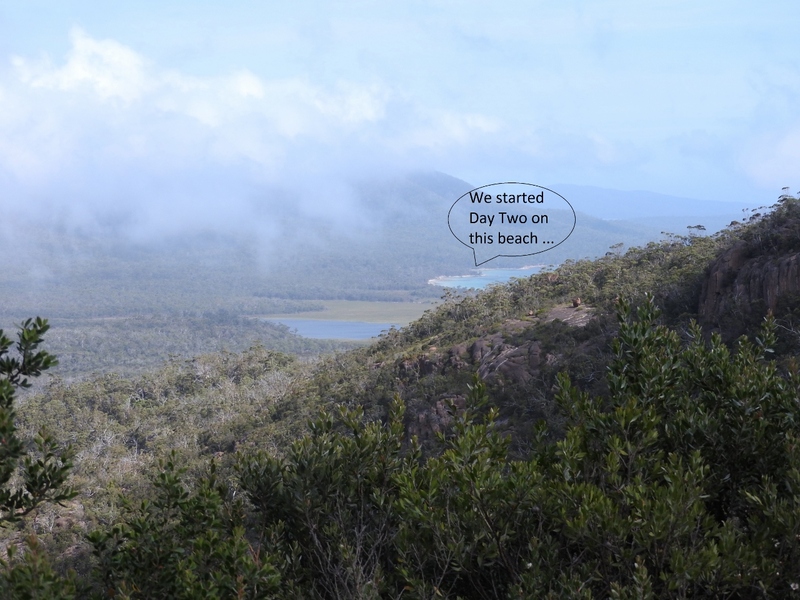 Last week I repeated a walk I did in Tasmania twenty years ago and strangely … it seemed a lot harder this time. It’s probably fair to say that I slightly over-estimated my fitness level, and under-estimated my age! Nevertheless, I made it to the last day, and managed to eat everything that was put in front of me (and a few things that weren’t). The Freycinet Peninsula is one of Tasmania’s most beautiful spots, and once you get away from the usual trails and into the bush, solitude, wildlife and deserted beaches abound. Guides Nick and Sarah were very knowledgeable which greatly enriched our experience, and for the benefit of the foreigners amongst the group, we “enriched” it even further with tales of venomous snakes, spiders, ticks, leeches, sharks and other endearing Australian creatures. Black Footed wallaby – somewhat portly! 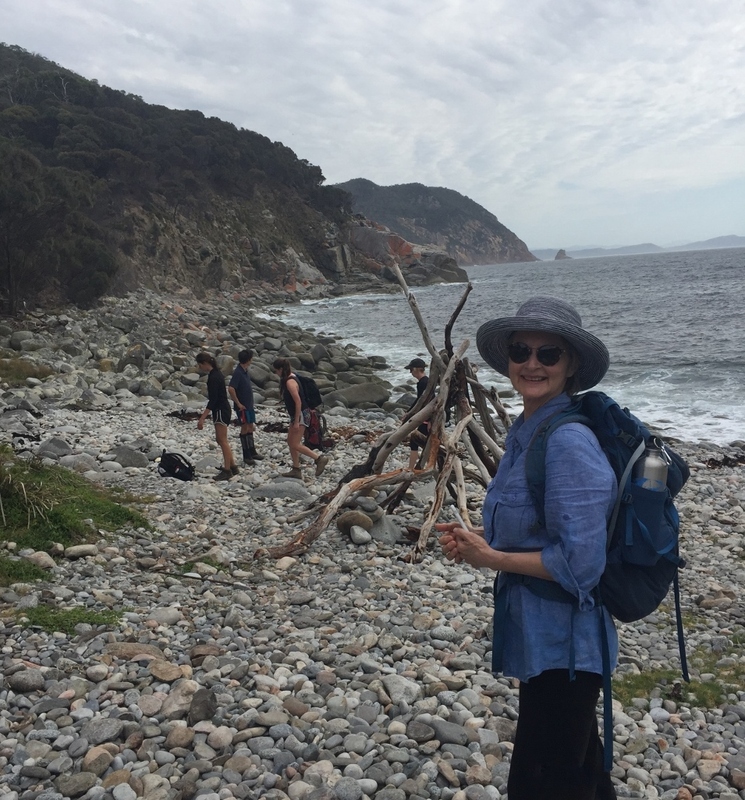 I walked for four days with Freycinet Experience Walk. Each day we were taken by vehicle or boat to a remote spot, to walk back to our comfortable eco-lodge – the only lodge within Freycinet National Park. Hidden in the sand dunes behind Friendly Beaches, the lodge with its comfy lounges, well-stocked library and indigenous art was a welcome sight at the end of each day. Near the end of Day Two – OMG! Next on my walking list will be something a little less strenuous, perhaps Bruny Island? Loved this post. Glad you enjoyed your walks even though sounds a bit tough. I’m thinking next time 3 days/2 nights Glamping on Bruny Island. Apparently they have friendly Spotted Quolls there! Thanks for that and well done. What a memorable trip for you.